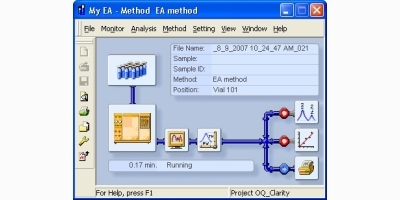 HTA Autosampler Manager is the software dedicated to manage HTA autosamplers. The software allows to perform almost all operative tasks that are available from autosampler touch screen or keypad such as creation and editing of the instrument methods, sample list generation, sample run..
Sievers DataPro M5310 C software integrates the GE Autosampler with the M5310 C TOC Analyzer. The Sievers DataPro M5310 C software, which integrates the GE Autosampler with the M5310 C Laboratory TOC Analyzer, features a host of time-saving features to maximize productivity and ensure easy TOC data management. The Sievers M9 TOC Autosampler system is now easier than ever to use with Sievers DataPro2 offers networking capabilities, increased reliability, and a very user-friendly interface. 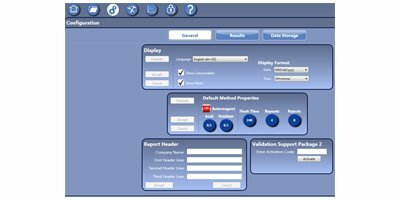 Users can load and operate DataPro2 on existing PCs, and may operate two analyzers from one PC controller. By Baytek International Inc. based in Corpus Christi, TEXAS (USA).